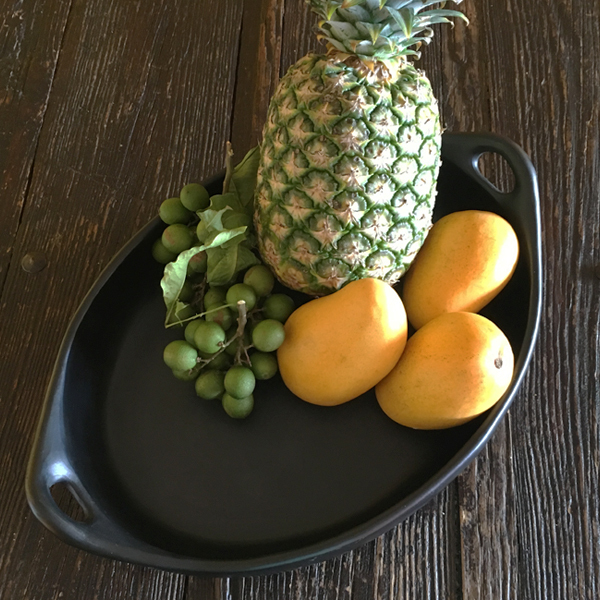 Due to the deepness of these oval serving dishes they can not only be used for serving, but also for roasting with the ease of handles for handling. Its dramatic black color makes for a great presentation for anything from a whole fried fish, to enchiladas, and stews, and being oven proof makes them ideal for use under a broiler. An essential part of the Colombian Bandeja Paisa are the beans, and often served in oval serving dishes such as this one.